Graphite provides real-time visualization and storage of numeric time-series data. 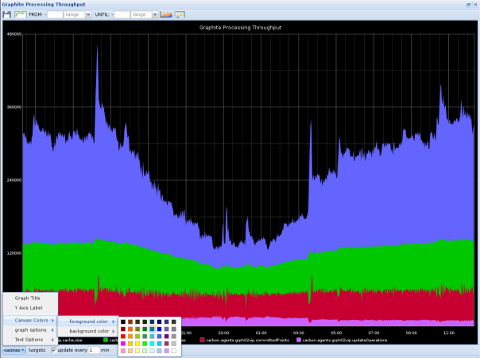 How are you getting the data into Graphite? Have you decided on retention levels yet? I'm going to write a few more blog posts explaining my setup. I will be building some custom python clients to push data from various sources. If you have any tips on best configuration of data retention, please let me know... I will be playing with that soon. I've only started playing with Graphite recently myself. Retention is one of many thing still up in the air as I understand what it all means.